You own a business. You care about your business. It is like your baby. You make sure everything is in order all the time, but you might have neglected something crucial. Your plumbing. If you have a store front the last thing you want is having a customer or potential client coming in and seeing your plumbing in disarray. Not only is it unsightly, but it can even be unsanitary. 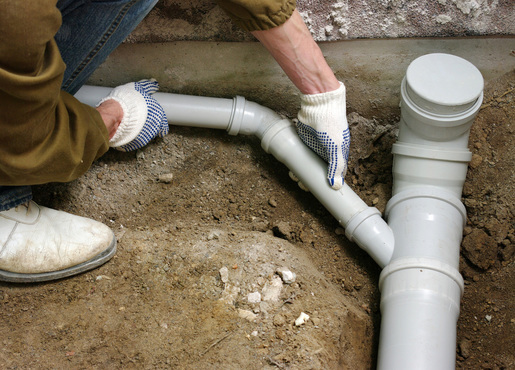 Your sewer pipes need to be maintained, and that is where we come in. Here in Lexington, Kentucky, we at Ace Plumbing strive to be your first choice when it comes to anything to do with your plumbing. We care about you and your business, because your business is our business! We believe in being the most professional and knowledgeable plumbers that you can find. The last thing you want to worry about when it comes to your business is the pipes and plumbing. Let us take that headache away from you. Give Ace Plumbers a call and let us take care of everything so you can rest easy. Our professionals will come in and give you an evaluation and answer any questions you may have. We believe in helping you, so we will never leave you in the dark. An informed customer is a happy customer. We will walk you through whatever questions you may have so that you know your business is in safe hands. We know how important your business is to you, and you are important to us. We want our customers to be happy, because that makes us happy. Do not hesitate to pick up that phone and call Ace Plumbers here in Lexington, Kentucky to take care of any of your business plumbing needs, we are pros! We have a passion for plumbing. Not to mention the fact that we also live in Lexington, we care about our community and our neighbors, and we know how important your business is to you. No matter what the job is, do not fear, Ace Plumbing is here to take care of you. If you have ever had any sort of plumbing problem, you know that the whole thing can quickly turn into a nightmare scenario, and that is what we are here to prevent! The last thing you want to do with your business is leave it in the hands of amateurs. Here at Ace Plumbers, we pride ourselves in knowing what we are doing, and that is why we are always willing to answer any questions you may have about your plumbing situation. We want to keep you informed every step of the way so that you know that the job is done right and done for you, no cutting corners. ​So if your business has any sort of plumbing trouble, or you are just the kind of person that looks to the future and wants to avoid problems, if you are in Lexington, Kentucky, give Ace Plumbers a call and we will take care of any problem you may have.